Reward your staff or impress key clients than with a trip to catch the Qantas Wallabies. We Love Rugby are the largest and most respected rugby tour operator in Australia. 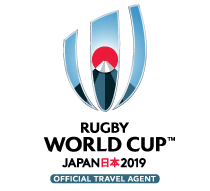 As a licensed tour operator of Rugby Australia, we have unrivalled access to match tickets and both current and past Wallabies so you are assured of receiving the best value for money. Through our established relationships with travel suppliers worldwide, We Love Rugby will be able to offer you the following - luxury accommodation, premium match tickets, personalised merchandise, private transfers, group dining experiences and Wallaby player involvement. If you have any other requests, our team will be on hand to make it happen. Motivate staff or impress your most valued clients by taking them to one of the Bledisloe matches, either domestically or internationally, Rugby Sevens Tournaments or the all important Rugby World Cup. Our corporate team will ensure that your group are taken care from start to finish, we can guarantee that your clients and/or employees will leave both impressed with our services and your organisation. Please note that due to our agreement with Rugby AU match tickets must be sold in conjunction with accommodation. To find out more about what we offer, contact us with your enquiry or to make an appointment.